Nothing says summer quite like strawberry ice cream. 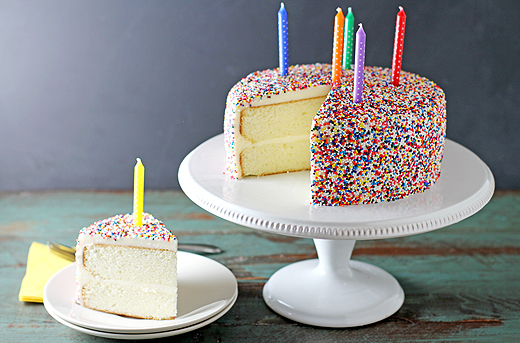 We added poppy seeds to this recipe to add the perfect crunch to this classic ice cream! I had a chance to take the Craftsy Make the Most of Your Stand Mixer class and it was incredible! Learning how to better use my KitchenAid® Ice Cream Maker Attachment has been on my to do list, and this class was a great chance to learn the ‘ins and outs’ of ice cream preparation. I’m so excited to share what I learned with all of you today, so let’s get started! To begin, start of by macerating your strawberries with sugar and lemon juice in the Medium Sized Bowl from your KitchenAid® Ceramic 3-Piece Nesting Mixing Bowl Set. Let it set for at least 30 minutes, or a few hours if you have time, to really allow the flavors to meld. Then, gather your egg yolks, cream, milk, and poppy seeds. Start by whisking the egg yolks together in the Large Sized Bowl from the same Ceramic 3-Piece Nesting Mixing Bowl Set. I love the look of these bowls, and they are very sturdy, meaning they won’t flail around while you are trying to whisk together your ingredients. Next, gently warm the cream and milk until just boiling in the 3.0-Quart Saucepan from your KitchenAid® Tri-Ply Copper 10-Piece Set. Add 1/2 cup of sugar to your cream mixture and stir until fully dissolved. Then, temper your eggs. This fancy word just means you’ll need to add a tiny bit of the hot cream to the eggs while whisking to begin combining these ingredients together. By starting off slowly, you’ll prevent the egg yolks from turning into scrambled eggs! After adding a bit of the hot cream mixture to the eggs, you can add the remaining in much faster, while still whisking, to fully combine. Once combined, add the whole mixture back into your 3.0-Quart Saucepan. Using a wooden spoon, stir continually until the mixture coats the back of the spoon. You’ll know the mixture is ready when you are able to pull your finger across the back of the spoon and it leaves a path as pictured above. Next, we are going to put the mixture into an ice bath. I hadn’t done this with my ice cream before the Craftsy class, but our instructor told us that by leaving the mixture in the pan for a few extra minutes, the ice cream could begin curdling, so I gave the ice bath a try and it really helped this recipe! You could use metal bowls to make an ice bath. However, I like the way the Rectangle Cake Pan and Square Cake Pan from my KithenAid® Professional-Grade Nonstick 5-piece Bakeware Set worked for this recipe. I added ice water to the larger Rectangle Cake Pan and then placed the smaller Square Cake Pan inside it. Then I added the ice cream mixture to the Square Cake Pan. This Bakeware is super durable and easy to move around on my countertops as needed, making it a great solution for my water bath needs. Once the mixture is in an ice bath, you will want to stir it frequently until it cools. While the mixture is cooling, it’s time to make the strawberry sauce. We want to cook down the water that the strawberries naturally produce in this mixture to keep our ice cream from getting icy. You want the sauce to be nice and thick, so you’ll need to heat the macerated strawberries to a full rolling boil and reduce down in your KitchenAid® 3.0-Quart Saucepan. This can happen quickly and could burn your sauce, so be sure to keep a close eye on the strawberries during this process. The final consistency should be nice and thick like jam, which takes about 7-10 minutes. Once the consistency is thick, add the strawberry sauce to your ice cream mixture. Then, add your poppy seeds. 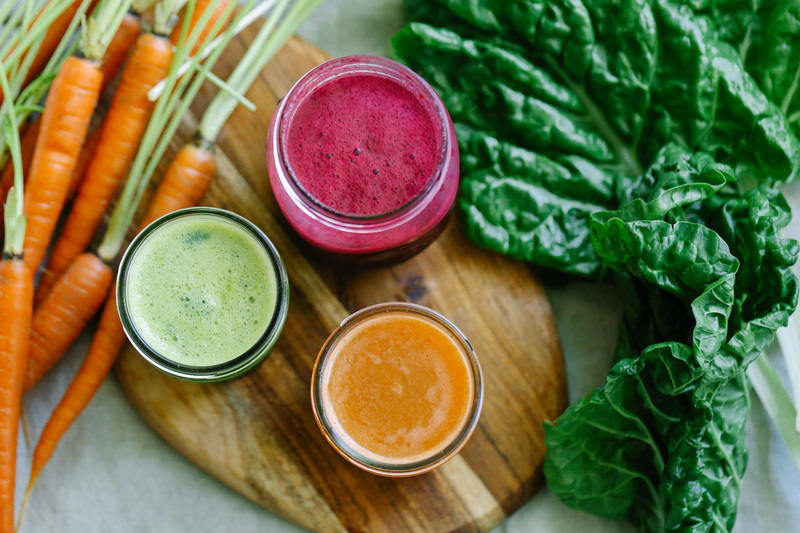 You’ll want to chill your ice cream completely with another ice bath, or just pop it in the refrigerator for a few hours to completely cool. Next up is churning! 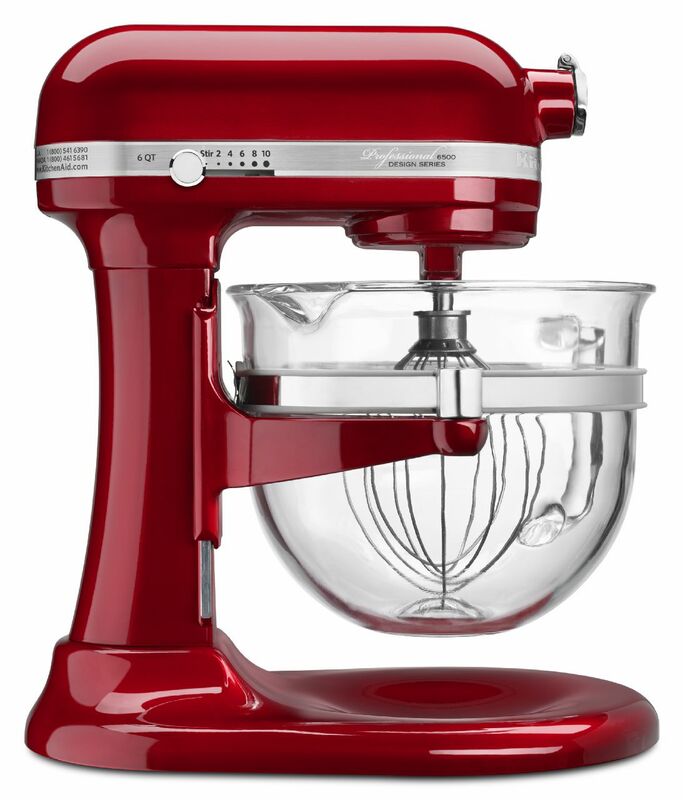 Grab your KitchenAid® Professional 6500 Design™ Series bowl-lift Stand Mixer and use your Ice Cream Maker Attachment as the bowl. Make sure you start your Ice Cream Maker Attachment by setting the Stand Mixer to a speed of ‘stir’ before you add the custard mixture, or the blade will get stuck. My boys LOVE this part! They are always mesmerized by it. Once the ice cream is done churning (about 30 minutes) you will want to pop it into a freezer-safe container and freeze it for at least 8 hours, or overnight. Then it’s time to eat it! With this Craftsy class, I learned some great tips for successful ice cream making, and I hope that these techniques will help you too. 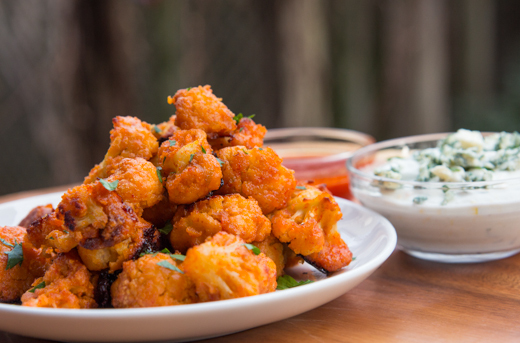 Have fun, and enjoy this recipe! 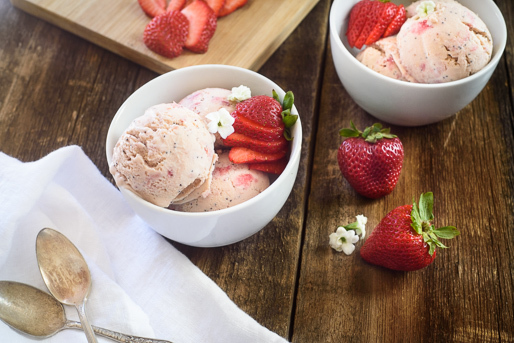 Be sure to share your take on this Strawberry Poppy Seed Ice Cream recipe with us on Instagram using #MadeWithKitchenAid for a chance to be featured. 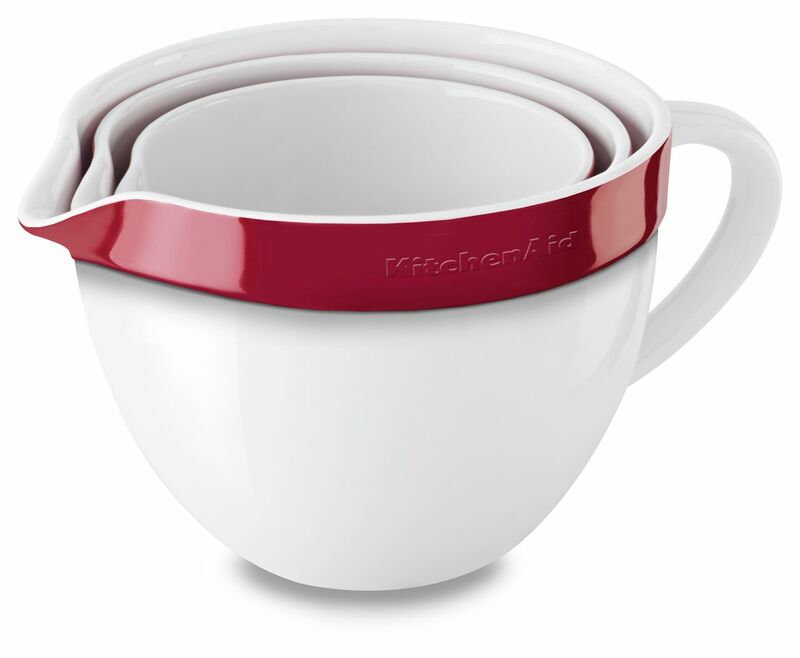 Place your strawberries into the Medium Sized Bowl from your KitchenAid® Ceramic 3-Piece Nesting Mixing Bowl Set. Macerate the strawberries by letting them soak with sugar and lemon juice for at least 30 minutes, or a few hours for a fuller flavor profile. 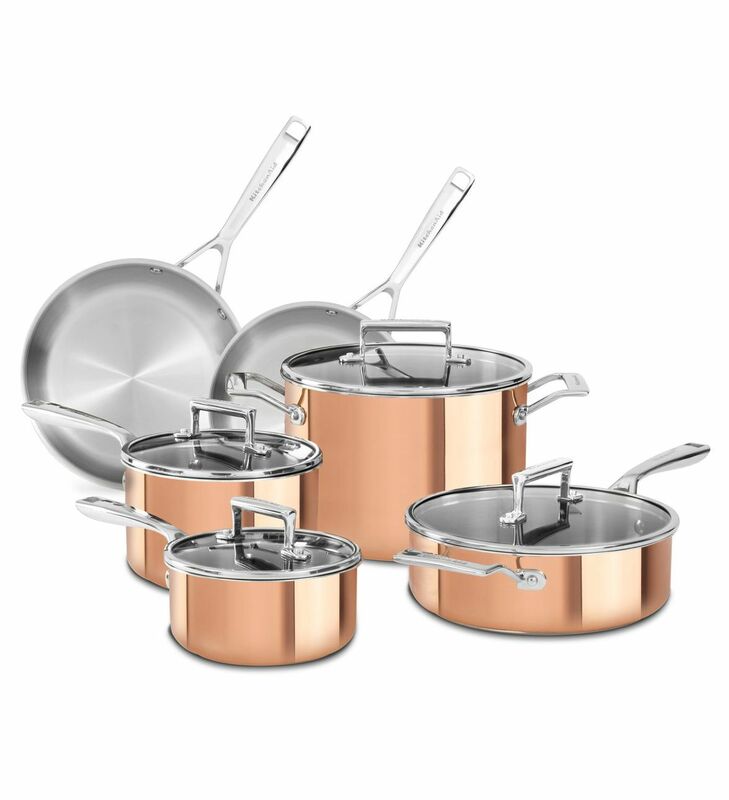 Heat cream, milk and sugar to almost a boil in the 3.0-Quart Saucepan from your KitchenAid® Tri-Ply Copper 10-Piece Set. Remove from heat. Whisk eggs in the Largest Sized Bowl from your 3-Piece Nesting Mixing Bowl Set and temper them with the hot cream by slowly adding the cream at first while whisking, then adding more rapidly while whisking. Return the cream-milk mixture to your 3.0-Quart Saucepan and bring to a boil over medium high heat stirring constantly with a wooden spoon. Allow to thicken until mixture is thick enough to coat the back of a spoon. Cool in a water bath while you make strawberry sauce. 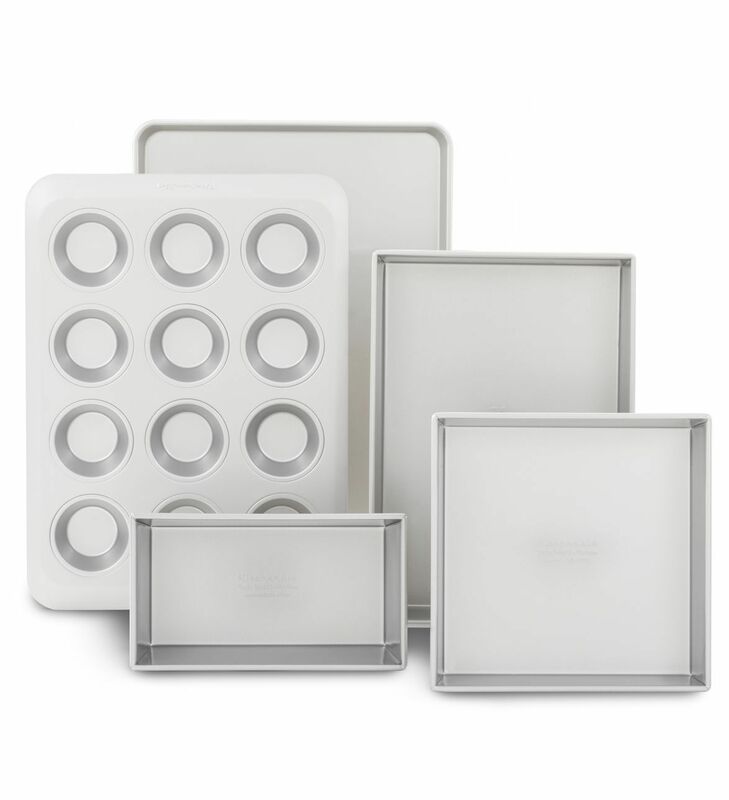 I used the Rectangle Cake Pan and Square Cake Pan from my KitchenAid® Professional-Grade Nonstick 5-piece Bakeware Set to make a water bath. To do this, add ice water to the Rectangle Cake Pan, then place the Square Cake Pan inside of the Rectangle Cake Pan and add the mixture into the Square Cake Pan. Bring the strawberry mixture to a boil in your 3.0-Quart Saucepan and cook until reduced to a thick syrup (about 7-10 minutes) stirring constantly. Use a potato masher or cocktail muddler to smash strawberries if needed. Add the strawberries to the custard mixture, along with your poppy seeds. Chill mixture completely. 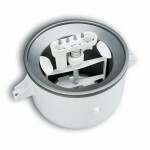 Fit the KitchenAid® Ice Cream Maker Attachment onto your Professional 6500 Design™ Series bowl-lift Stand Mixer and set to a speed of ‘stir.’ Once the Ice Cream Maker is on, transfer the custard to the bowl and churn until the mixture freezes, about 30 minutes. Transfer to a resealable container and freeze until firm, about 8 hours or overnight.